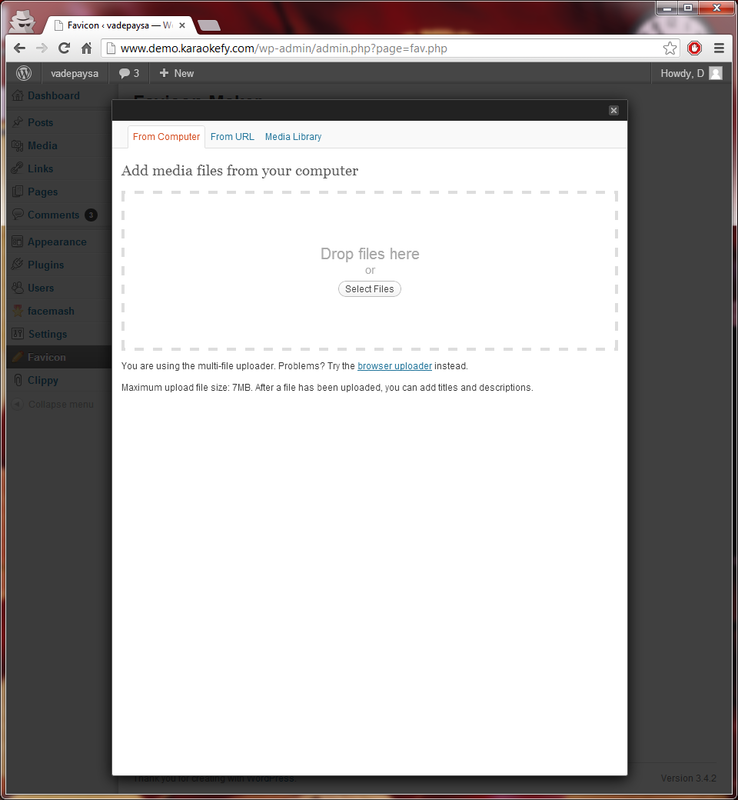 Create, Edit and Set Favicons from right inside Wordpress! 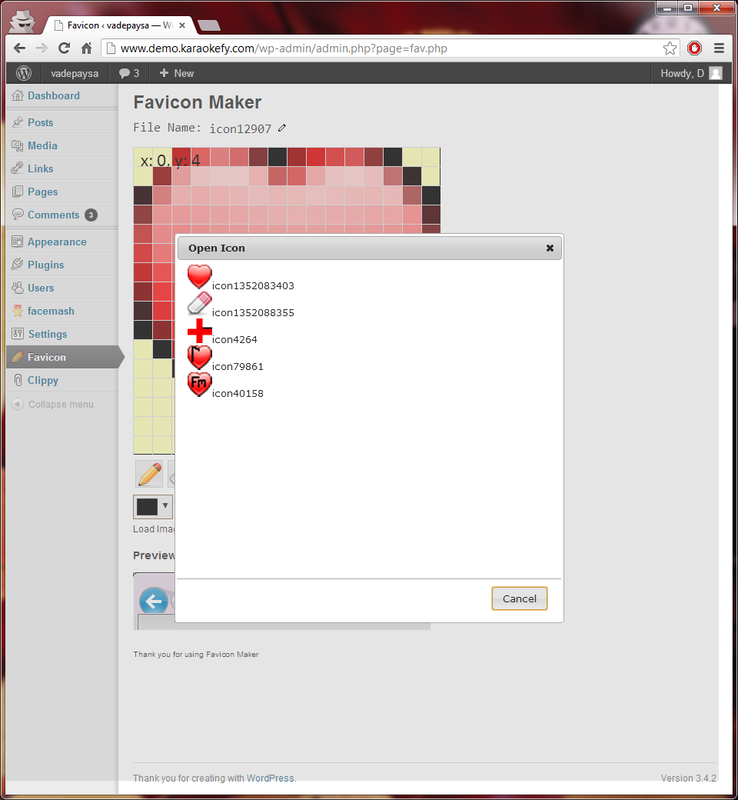 Favicon maker for Wordpress is a fully functional GUI icon editor for Wordpress. 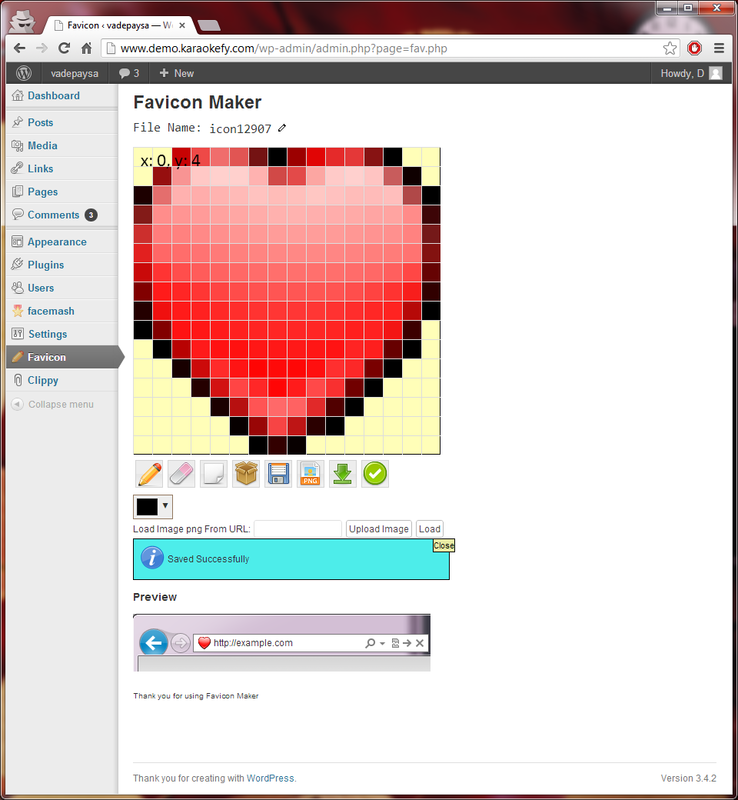 You can create your own Icons, edit existing icons, save them and have a lot of fun along with customizing the look and feel of your favicon! This editor is fully HTML5 and utilizes canvas elements and other advanced HTML5 techniques to help you create icons! Also, you can convert icons from PNG to ICO on your server without installing Image Magick! There is also an inline preview feature, which shows you how your Favicon will look, as and when you edit it!